Challenged with using existing photography, we took inspiration from Lifetime’s various local, regional and national events. 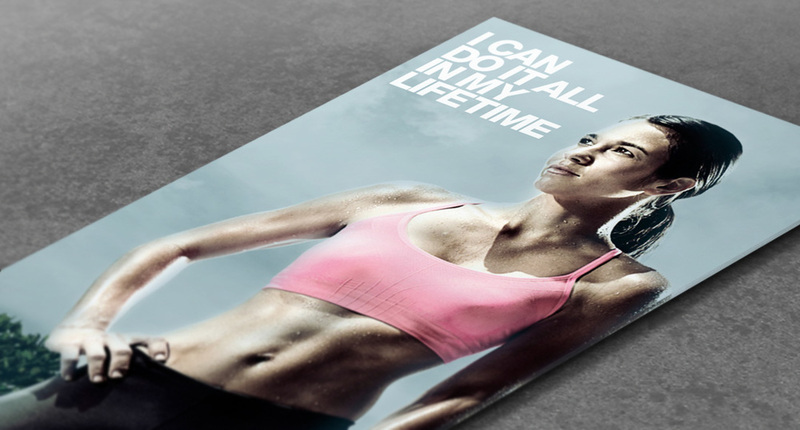 We used a grittier, weathered approach that differentiated the sponsorship materials from Lifetime’s consumer communications. Additional design capabilities include various event collateral and communications, from digital signage to branded merchandise. To target prospective members, TSG used the same look and voice of the event materials in a direct mail campaign, which tailored promotional offers through variable printing. MyStory is an online community for Lifetime Fitness members to get inspired and stay motivated through user-generated successes stories, comments and images. Initial logo design and site integration was designed by TSG.